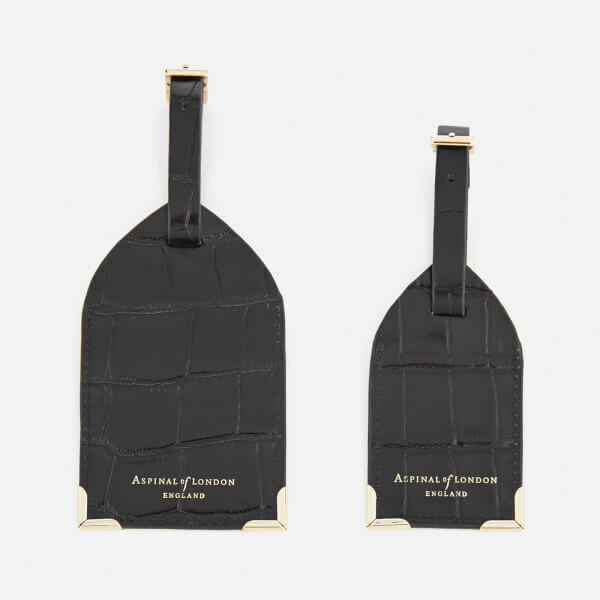 Set of two luggage tags from Aspinal of London. 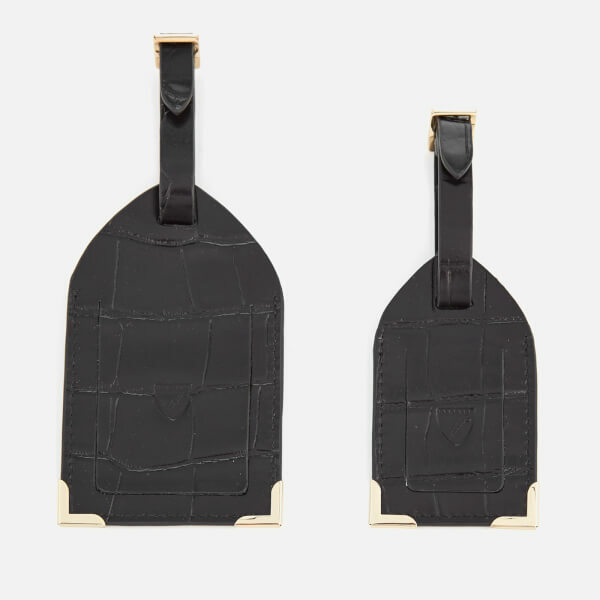 Crafted from croc embossed leather, the tags comprise an adjustable, buckle secured tab for attaching each tag onto a suitcase. 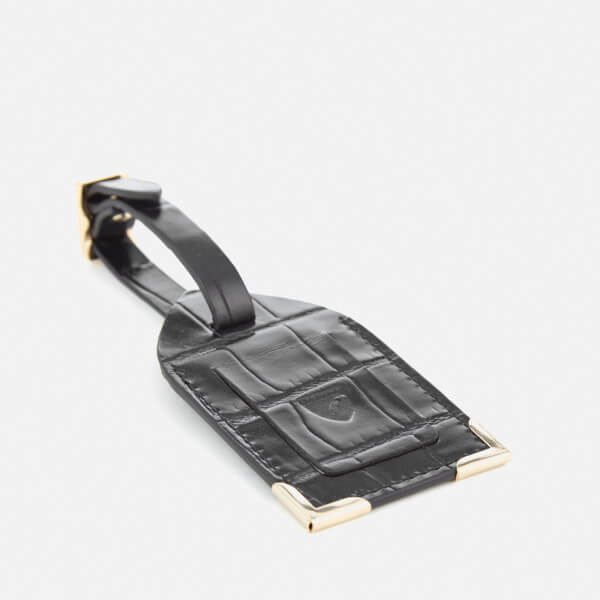 Featuring a transparent ID window, the tags are complete with reinforced corners and Aspinal of London branding. 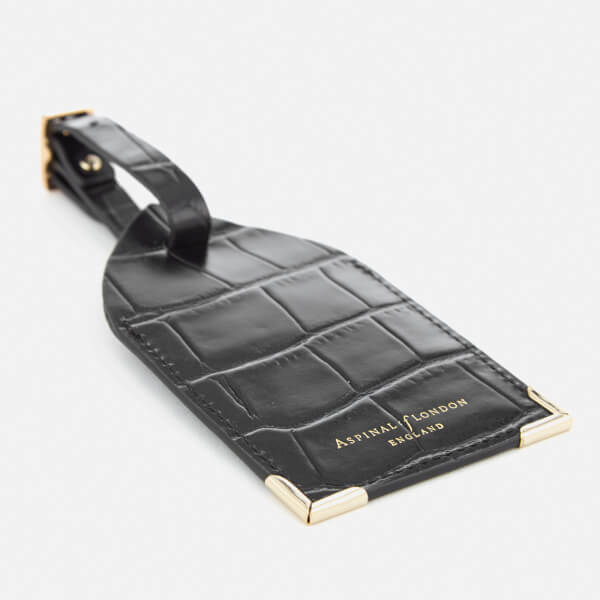 Dimensions: Large: H: 12cm x W: 7cm / Small: H: 9cm x W: 5cm.